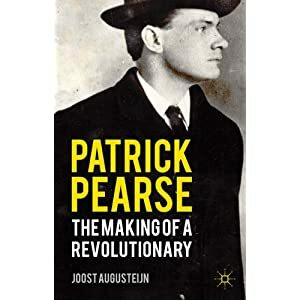 Last November I attended the book launch of Dr Joost Augusteijn's new biography, Patrick Pearse: The Making of a Revolutionary, in the Pearse Museum in Rathfarnham (see book page on Amazon). It took me a while to get around to read it, but I have just completed it today and I have to say that it is a fantastic read and an absolute must for folks interested in Patrick Pearse. Dr Augusteijn told us at the book launch that he had some new material (from the late Marcus Bourke) - so I relished the prospect of learning more about Pearse. The book is divided into several sections that describe in great detail the life of one of Ireland's most respected patriots - he writes about Pearse as a person, cultural nationalist, educationalist, politician, and revolutionary. Pearse as a politician and rebel is relatively well known to most Irish people, but the other parts of his life are not so well known. Each section makes for fascinating reading and Augusteijn shows a mastery of research to provide us with wonderful detail about Pearse's early life. Clearly, Pearse was greatly influenced by his family - Augusteijn makes this point several times and concludes that "crucial in his personal development has been his family surroundings", it was a huge part of what made him. Equally important is the conclusion that Pearse's "thinking can best be understood in the context of his time". This latter point is particularly crucial to debunking the myth of blood sacrifice. Eileen Ryan's St Ita's school report (1912). The section on Pearse's time as an educator and teacher were especially interesting to me. I did not know that Pearse had traveled to Belgium and Wales to study bilingual language teaching. His ideas for Learning and Teaching on both St Enda's and St Ita's schools were way beyond the norm for the early 20th century - very progressive and student centered. 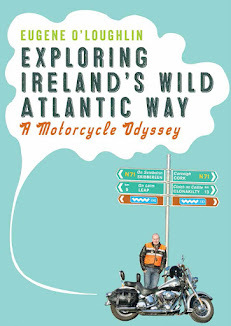 Patrick Pearse was passionate about everything that he did - and this passion jumps out at you from every page of this meticulously researched book, there are hundreds of references at the end to prove this point. The book builds on our knowledge of earlier biographies of Pearse - in particular the one written by Ruth Dudley-Edwards (which I reviewed on Amazon here). The book is not written in a popular history style - there are far to many quotations and references for that. Nevertheless, readers (like me) of popular history books will still enjoy this as it is not heavy going, and is very much easy to read. The men who have led Ireland for twenty-five years have done evil, and they are bankrupt now even in words. They have nothing to propose to Ireland, no way of wisdom, no counsel of courage.